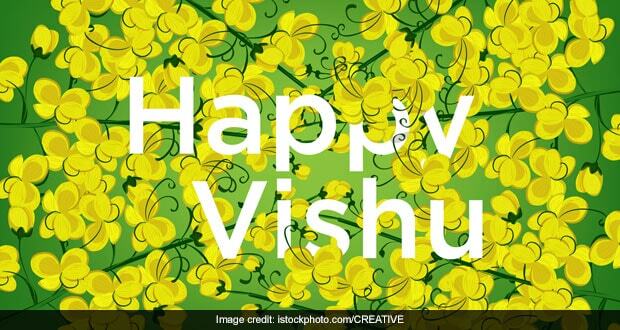 Vishu 2019 is Malayali New Year, which is celebrated by Hindus in the Indian states of Kerala and coastal Karnataka. This year Vishu is being celebrated on Monday, April 15th. The Indian festival is also celebrated in Kanyakumari and nearby regions, as well as Malayali diaspora around the world. According to Gregorian calendar, the festival typically falls in the middle of April or on or around April 14th every year. The festival marks the completion of the spring equinox. ‘Vishu' word literally translates to ‘equal' and the festival is marked by solemn and religious family celebrations. The day is earmarked for visits to temples dedicated to Lord Krishna, who is worshipped on this day. Devotees throng some famous Indian temples like the Sabrimala Ayyappan temple, Guruvayur Shri Krishna temple, early in the morning on the day of Vishu. 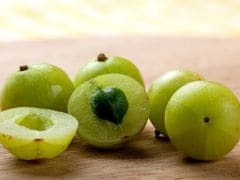 Vishu is going to be celebrated on April 15th, 2019. The day marks the beginning of the Malayalam calendar and marks the beginning of Malayalam New Year. The festival coincides with Pohela Boishakh (Bengali New Year), Puthandu (Tamil New Year), Baisakhi (Punjabi New Year) and Bohag Bihu (Assamese New Year). The celebrations include the preparation of colourful auspicious items. Devotees view these items first thing on the morning of Vishu. People try to view things like the golden yellow flowers of the Indian laburnum, money or items made from silver, as well as rice. The ritual Vishu arrangement made at homes of Malayalis also includes an image of Lord Krishna, which is also viewed first thing in the morning. The celebrations may even include lighting fireworks, as well as wearing of new clothes and sitting down for a traditional Sadhya meal. The Sadhya feast is a part of all major celebrations and festivals of Kerala, including weddings. The feast typically involves eating a mix of dishes with all four types of tastes - sweet, salty, sour and bitter. 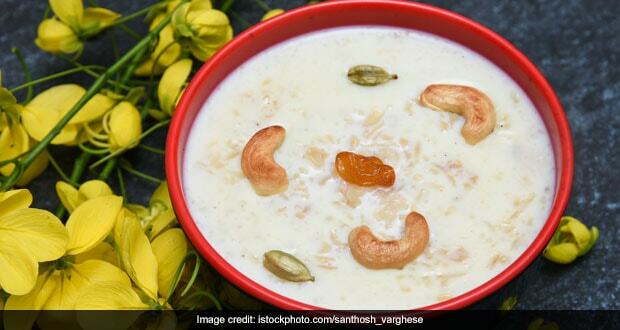 The Sadhya feast includes dishes like Vishu Kanji (salty rice and lentil porridge prepared with coconut), thoran (coconut-based vegetable dish eaten in Kerala), Vishu kata (sweet prepared from rice, coconut milk, ghee and cumin seeds). Among the bitter preparations, one of the important ones is Veppampoorasam (prepared from neem leaves). The sour soup dish made from mango and called Mampazhappulissery is also prepared on Vishu. The presence of all the flavours in the Vishu Sadhya meal signifies a celebration of life experiences with varied flavours and reminds people to make the most of each and every life experience.